Bringing 50 years of campground expertise to your project. Homer Staves, of Staves Consulting, has been working in campground management for over 50 years. His experience in the corporate campground industry, as well as a campground owner, makes him an invaluable resource. Are you planning to open a campground or RV Park business? Do you already have a campground and want to improve profits? Let Staves Consulting put their experience in this challenging industry to work for you. Developing a campground or RV park is a complex project and decisions made in the early stages of the project can affect its long term viability. Discover if your location is economically viable. Find a hidden market that isn't being served. The Myth of the Typical Campground. Choosing the right campground type can improve your profits by several hundred thousand dollars per year! 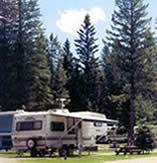 There are many issues to consider regarding campground design or building a RV park. Our 50 years of experience in the field can give you a leg up. Take a Walk, Take Inventory or Take Care of It. 20 problems to watch out for when selecting a site or buying a campground. Airlines, hotels, motels, car rental companies, and motorhome rental companies all use yield management to maximize their profits and so should you! Yield Management for Campgrounds and RV Parks and more . . . Topics include campground marketing, campground stores and more! Do you have questions about campground design or managment? Are you looking for an experienced campground or RV park consultant? You've come to the right place! We believe that all aspects of the campground or RV park business should be guided by market research. Until you define the precise market you will be serving, it is impossible to design the right facility. Many of the answers to various campground construction problems can also be found by knowing who the ultimate market will be. It is also obvious that knowledge of the market is critical to all management and operating decisions. Therefore we strongly suggest that our services start with research to identify all segments of the market to be served and to define their needs and wants. 1. Summarize the agreed upon objectives. 2. Provide you with several options to enable you to reach the desired results. Park Feasibility Studies - More than just a site location study, this involves the gathering and analysis of a great deal of information necessary to make an informed decision about the potential success of a specific development concept in a certain location. Campground Design - Once the market has been defined and the park concept refined, we will help you and your engineers create a design best suited for the market you intend to serve. Business Plans - We are experts in business plan development. Whether you are looking to raise $50,000.00 or 10 million dollars, our campground consultants can develop a business plan that will get investors excited about your business. Marketing Programs - Marketing is where it all begins. Our talented marketing team will research and develop a marketing strategy that is designed to assist you in exceeding your sales and financial goals. Operation Manuals - All operational manuals, such as front desk, cleaning, policy, or training are custom designed to meet the exacting needs of your park. Operational Audits/Analysis - Our team of experts will analyze your campground to identify areas of opportunity. The audit is followed up with a strategy session that details goals, responsibility, timetables and objectives. Control Techniques/Systems - The key to cost control is having the proper systems in place. Our experts will develop and implement systems that keep you running in the black. Management & Employee Training - People are what makes a business successful. Our extensive experience in hiring and training large and small groups of individuals, as well as managerial development, makes this daunting task manageable. Site Selection/Analysis - Location, location, location! Our team of campground consultants will assist you in finding the right site for a new venture or an existing RV Park or Campground. A great location will tremendously increase your chances of success. Each project is handled as collaboration between campground consultant and client. It is through this collaboration that goals and objectives are attained. All projects are handled by me personally, Homer Staves. For more information, or to set up an appointment, please call (406) 656-7086 or e-mail me or click here to go to a computer response form. I also invite you to utilize our free service, Ask The Campground Expert. This is a wonderful opportunity to ask a range of questions from operations, marketing, training, cost control, concept development and start-up issues. This section also contains comments and answers to questions provided by other people. This is a great opportunity to share ideas and thoughts. Even if you don't have a question, we would love to hear from you. Free downloads of national construction codes and plans for many campground facilities that can be found in the section covering campground development. We hope you will take advantage of these free services.